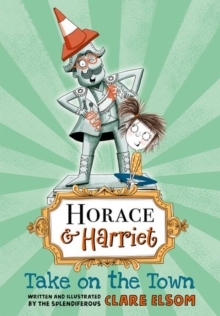 Lord Commander Horatio Frederick Wallington Nincompoop Maximus Pimpleberry the Third (or Horace, for short) has been a statue on a plinth in Princes Park for hundreds of years. 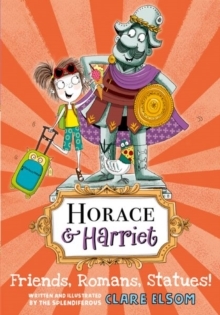 But after suffering pranks, graffiti, endless mobile phone chat, and pigeon poo, Horace has had enough. He decides it's time to get off his pedestal . . . and walks away. Surely he can find a better home? One suitable for such a fine commander? 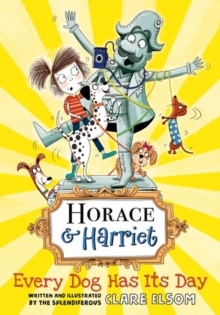 Assisted by his new friend Harriet (she's sevenand a quarter years old and definitely NOT a statue) Horace tackles modern life (though he can't shake off his embarrassing hobby of invading everything) in his quest to find the perfect place to live. The trouble is, nowhere seems to be quite as good as Mayor Silverbottom's house. And MayorSilverbottom just happens to be a descendant of Horace's arch enemy . . . 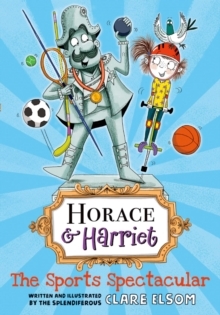 Packed with splendiferous pictures this is a rollicking read for children of five and up.